The future is here and it’s better than ever! Imagine walking onto campus with this streamlined, hard shell backpack featuring a hip design and modern look. Inside, there’s plenty of room for everything from notebooks to electronics, your lunch case and more. Each ZIPIT Hard Shell Backpack is approximately 11.8 inches (300mm) in length, 16.5 inches (420mm) in height, and 6 inches (150mm) in depth. It’s been created with care to include a host of features like: Room for a 14″ laptop An interior organizer Padded, adjustable shoulder straps Comfortable, padded back Be among the first to try out this innovative hard shell backpack and be sure to tell your family and friends. If you’re looking for a memorable gift, look no further than this practical backpack with 8 unique designs to choose from. 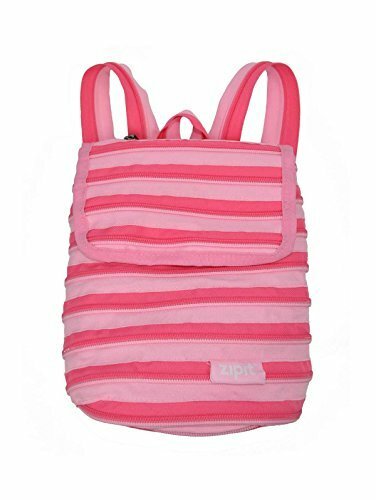 Hard shell – keep your laptop, School Supplies and personal Items safe and sound inside the protective hard shell exterior of this Super cool backpack with zipper closure. Padded back system & adjustable straps – extra padding over the shoulders and entire back area, adds comfort exactly where you need it. No matter what your size, you can get a close, back-safe fit with the built-in adjustable straps. Stay organized – the inside is like an Office on the go with various sections so there’s a place for everything! 8 cool designs – there’s something for everyone from sleek grey to bold, colorful Graphic patterns that are irresistibly stylish. Choose your favorite or collect them all.